Best Air Conditioning & Heating Service Rappahannock Academy, VA | Robert B. Payne, Inc.
At Robert B. Payne, Inc. we pride ourselves on high-quality workmanship. Since 1930, we have provided the community with a guarantee. That guarantee is to leave you completely satisfied with the air conditioning and heating service in Rappahannock Academy, VA. We work tirelessly to ensure your home or office is more energy efficient, comfortable, and endures fewer repairs overall! 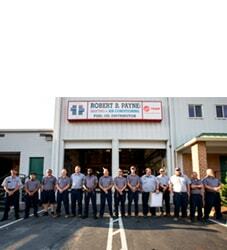 As a local, family-owned company, Robert B. Payne, Inc. proudly has over 25,000 indoor systems installed. The number of neighbors, friends, and family who enjoy higher energy efficiency, better indoor air quality, and comfort is astounding. Whether you require routine maintenance or professional installation, we’ll be there for you! Speaking of installation, you always want professional service. 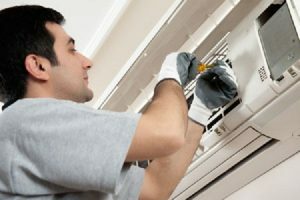 Professional installation ensures your new HVAC system is installed correctly, without any errors, and enjoys higher efficiency and an extended lifespan. When it comes to heating and cooling systems, these things matter. So, never skimp on your investment! Over time, an air conditioning or heating system may accumulate dirt and debris. It is best to clean the entre unit regularly and change out the air filter monthly. During a routine maintenance call, our team will handle both tasks, all while ensuring the system continues running smoothly. 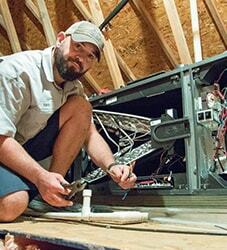 Sometimes, prompt repairs are required to keep your system running at peak performance. When something goes wrong, know you may call Robert B. Payne, Inc. We have technicians who are fully equipped to handle all manner of repairs, big or small! 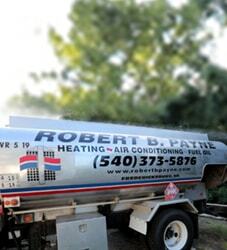 Schedule affordable air conditioning and heating service in Rappahannock Academy, VA. Robert B. Payne, Inc. is available to help at (540) 373-5876!